Now, I know this is a different comparison. However, with Off The Wall and Thriller being compared so much, we wanted to take a different approach and compare two of Michael Jackson's later albums, Bad and Dangerous. Bad, released in 1987, and Dangerous, released in 1991, are both enormously commercial successes and in my opinion, slept on MJ albums. Today, we gathered the team to talk about these two albums. Bad and Dangerous.... the last and best two of Michael Jackson's amazing 4 album stretch. Choosing between the two of them, I'd take Dangerous as the one I prefer. Now True and I have had multiple conversations on twitter about this, so he knows that I'm a little biased because Dangerous is my favorite MJ album. However, I've always felt that Dangerous was sequenced better than all of his other albums and therefore flows better. The thing that puts Dangerous over Bad to me is that I don't think that MJ had a better 5 song run on an album than "Black or White", "Who Is It? ", "Give In To Me", "Will You Be There" and "Keep The Faith". You can argue hit wise he had better, but as far as consecutive tracks on an album, I believe Dangerous has them all beat. Speaking of "Keep The Faith", that and "Can't Let Her Get Away" are, in my opinion, the two most underrated songs in MJ's catalog. This is without even mentioning my favorite MJ song, "Remember The Time". I love Bad, but the one thing I could never get over is "Just Good Friends". It's not a bad song, but MJ, like Stevie Wonder, is just one of those artists that I never really cared to hear a duet from. I just want Mike on a song and only Mike. Other than that, Bad is great. Even "Speed Demon", which to me, has always fit in that “Not a bad song, just different” category that a few of his tracks fall into. Play "Speed Demon" in the car though and that beat KNOCKS. Vocally, it's close, but the edge goes to Dangerous again. What he did on "Will You Be There" and "Keep The Faith" is amazing and those are back to back. Production wise, Bad just hits harder, but what else do you expect from Quincy Jones? You can't really compare the albums track to track for obvious reasons, but beginning, middle and end, I feel Dangerous was the stronger album. Bad is my favorite flat-out. There's not much else to say for me personally. It takes the sound MJ started in Thriller, adds more of an edge to it, and rolls from there. 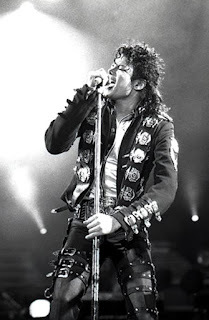 Plus, "Dirty Diana" is one of my favorite MJ songs of all-time. So, yeah, to keep it short and sweet, I would have to say Bad is better. Who's bad? After the hugely successful classic album Thriller, Michael Jackson was looking to top himself. His next two efforts were Bad and Dangerous. One album is seen to me as coming close to the greatness of Thriller and the other is seen as just a great album. Bad is one of my favorite albums ever. I actually love the album more than Thriller, mainly because of two songs, "Dirty Diana" and "Man In The Mirror". You could feel the sense of having something MORE to prove with Bad. Michael really wanted that album to stand out on its own and not be known as that "album he dropped after Thriller". He tried to make Dangerous stand out on its own and it was almost successful in doing that, though some of the cuts on Dangerous bored me to be honest. Bad had this "in your face" energy that Dangerous didn't have. Bad was more cohesive than Dangerous. Bad also has more legendary cuts in my opinion compared to Dangerous. You could argue that "Remember The Time" is better than most of Bad, but I would say that a track like "Dirty Diana" is better than all of Dangerous. 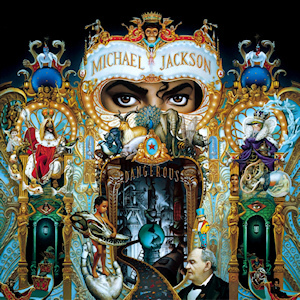 "Man in the Mirror" really is better than every single cut on Dangerous, because it's seen (in my opinion) as Michael's most "vulnerable" track. His "I'm finally gonna live and learn" track that I feel everyone can relate to. Like I said, Dangerous is a great album, but it's not an album you think of when you hear the name "Michael Jackson". You either think about the Jackson 5, Thriller, or Bad. I truly feel like Bad will stand the test of time longer than Dangerous. Peagle is right, he and I have had conversations on this, and my opinion never changes. Bad is the greatest Michael Jackson album. Hands down. Thriller is classic and the most successful album in history, but Bad is his best. After Thriller, Michael was the biggest star in the world. 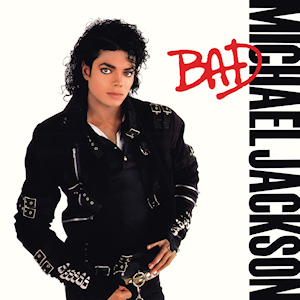 Bad was like the album that follows the success, where you're on a whirlwind, dealing with your own mortality(Man In The Mirror), the pursuit of love(Liberian Girl or The Way You Make Me Feel), dealing with competition(the title track), the pitfalls of the groupies(Dirty Diana), stardom and a fanbase(Another Part Of Me), being in love(I Just Can't Stop Loving You), and closing it off with a song that shows him realizing he doesn't want all this fame and drama(Leave Me Alone). As an album, it's cinematic and even the outtakes from the album are classic in their own right. Dangerous isn't bad by any means and is completely dope, but a few of the songs fall slightly short of the mark for me personally. Both classic albums, but I lean towards Bad every time. These albums are definitely groundbreaking and a testament to the great run MJ had. Which album do you prefer? Join the convo in the comments below. I personally prefer Dangerous just because it seems like a more consistent album while also taking risks with new sounds. Bad just seemed like Triller part 2. Not that that's nessisarily bad (pun fully intended), but it's not as exciting. Bad Album is inconsistent compared to Dangerous. I Can listen to Dangerous as Many times as I want without skipping any songs. Bad Just don't have that Quality. Specially too many outdated track right in the middle of album such as speed demon, Liberian Girl, Another part of me, Just good friends, IJCSLY Which kinda ruin Album for me. Bad doesn't sound like an album but collection of Popular singles. Dangerous is pure creative dementia. It is not an album. It's a miracle of music. In my view, Bad is far better than Dangerous. It represents the peak of MJ 's career. The iconic image of MJ dressed as a bad boy Is second only to the moonwalker. MJ had a big bunch of songs and he chose only 10. After Bad his Life started decreasing as his face and his alleged taste for children. Bad Is flawless, cohesive, iconic, sung perfectly. The lowest point is Just food Friends but it's a good duet . Dangerous on the other hand too long. I cant let her get away, gone too soon, why you wanna are quite boring. Dangerous itself has nothing original if compared to Jam which seems to be born from Smooth Criminal.